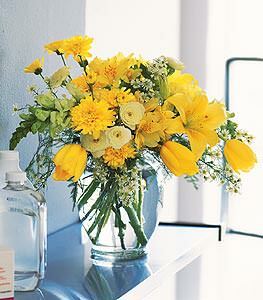 This bright yellow arrangement is like a ray of sunshine. Its sure to add warmth to anyones day. Alstroemeria, carnations, snapdragons and tulips artfully arranged in a glass ginger jar.